ISHMO (Indonesian Society of Haematology and Medical Oncology) Semarang Branch will hold a running event to support cancer survivor. Running is one of physical activities that will keep us away from cancer. 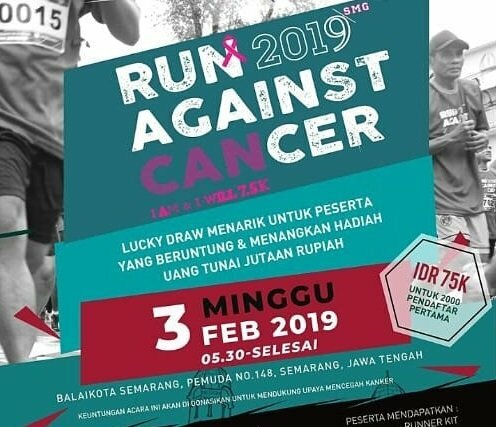 Show your support by joining us at our charity event, Run Against Cancer 2019!